Good morning! Today’s post will link up to Sunday Salon, The Sunday Post, and Book Journey, for Weekly Updates. **Mailbox Monday is now hosted at the home site: Mailbox Monday. Good morning, Bloggers! Grab some coffee (or a pot of tea! ), and let’s talk about our weeks. 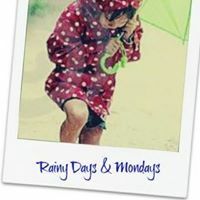 After posting my weekly updates over at Serendipity for quite a long while, I’ve decided to bring it here, to Rainy Days and Mondays, as a way of welcoming this reinvented blog into the fold. This past week brought more reading, and quite a lot of blogging. And numerous cups of tea, as the weather has cooled down considerably for these parts. We have even had rain, a welcome sight in drought-ridden California. Two books came in the mailbox this week: one from Amazon Vine, and one that I purchased. I also downloaded two e-books for Greedy Sparky. Grenadine Scotch Wild has only vague memories of the parents she last saw when she was six years old. But she’s never forgotten their final, panicked words to her, urging Grenadine to run. The mystery of their disappearance is just one more frayed strand in a life that has lately begun to unravel completely. One year into her rocky marriage to Covey, a well known investor, he is arrested for fraud and embezzlement. And Grenadine, now a successful collage artist and painter, is facing jail time despite her innocence. Emmeline Nelson and her sister Birdie grow up in the hard, cold rural Lutheran world of strict parents, strict milking times, and strict morals. Marriage is preordained, the groom practically predestined. Though it’s 1958, southern Minnesota did not see changing roles for women on the horizon. Caught in a time bubble between a world war and the ferment of the 1960’s, Emmy doesn’t see that she has any say in her life, any choices at all. Only when Emmy’s fiancé shows his true colors and forces himself on her does she find the courage to act—falling instead for a forbidden Catholic boy, a boy whose family seems warm and encouraging after the sere Nelson farm life. Not only moving to town and breaking free from her engagement but getting a job on the local newspaper begins to open Emmy’s eyes. She discovers that the KKK is not only active in the Midwest but that her family is involved, and her sense of the firm rules she grew up under—and their effect—changes completely. Rescuing Eliza is pure instinct for tech genius Aidan Caine. At first, putting the renovation of his lakeside guest lodge in Eliza’s hands assuages his guilt—until he sees how quickly he could fall for her. Having focused solely on his business for years, he never knew what his life was missing before Eliza, but now he’s willing to risk his heart on a yuletide romance that could lead to forever. That was my week, and you’ve had a peek at next week’s reading. What are you reading and blogging about? ← RAINY DAY FRIDAY: BLISSFUL! Fireproof seems interesting, hope that you end up loving it. Have a great Sunday and upcoming week. Thanks, Brandi…I suspect that I will find Fireproof totally engaging. Glad you could stop by, and have a great week. A Fireproof Home for the Bride looks really interesting Laurel-Rain! I hope you’ll enjoy that and your other new books. You had another very busy week, lots of new posts going up. Thanks, Lexxie, I do love how they each bring something unique. Glad you could stop by, and enjoy your week, too. You seem to read a wide genre. I am kind of thinking of breaking out myself and not just reading romance! That would be a change! Yes, my reading zone is widening since I started blogging…finding so many books that I would never have otherwise considered. It’s fun! Thanks for stopping by, Steph, and enjoy expanding your reading horizons, too. Happy you had rain! Enjoy all of these wonderful books. Here’s my Sunday Salon. I’d love to have you stop by! Thanks for stopping by, Deb, and I definitely can’t wait to read these books. I love to read so many genres and mix them up randomly to keep it entertaining. Some lovely new books this week. Enjoy! Thanks, Laura, I love mixing things up too! Glad you could stop by, and enjoy your week! Thanks, Catherine, and good morning! Hope you have a great week, too, and eager to find out what you are reading. You definitely had a productive week of reading and blogging! So many of these books look good to me. I’ll be curious to hear what you think of The Paying Guests…I finished the audio version a few weeks ago and still can’t come up with the right words for a review. Have a great week! Thanks for stopping by, JoAnn…and enjoy your week. Holy Cow! You had a busy week! Thank you so much for stopping by my blog! Yes, I did, Lori, and thanks for stopping by! Enjoy your week. Oooh. Went and read your movie marathon post. My wife and I are completely with you with the John Hughes movies. This weekend, it will be the first two Toy Story movies, of which the second one is my favorite, because…I’ll confess…it gives me a good cry, especially that one scene. I really miss those movies, so I’m glad to have them on DVD, ripe for the picking. Enjoy, Bryan, and thanks for stopping by. All of your books look so good. I really want to get the Elin Hilderbrand book. I love her Nantucket books. I am so looking forward to winter on Nantucket, Yvonne…It should be really cozy. Thanks for visiting, and enjoy your week. Looking forward to your thoughts on Winter Street. It has been dark and rainy all weekend here. I am under the weather today so it is pajamas and tea for me. I am still in PJs sipping tea, but not sick…LOL. Just finished watching more episodes of Gilmore Girls on Netflix. I am eager to start reading Winter Street. Thanks for stopping by, Kimba. Winter Street looks good for this time of year. Yes, James Spader was awesome-slimy in Pretty in Pink, and in a few other movies, including another with Molly Ringwald…Fresh Horses, which I don’t think is a John Hughes flick…LOL. Thanks for stopping by, Greg, and have a good week. I have Hour of Need too and the cover for What I Remember Most is lovely. The blurb for that one intrigues me. I love the blurb for the Cathy Lamb book, too, and I am a big fan of Melinda Leigh. I guess the only way to catch my reviews on the different blogs is through this Weekly Updates post…LOL. Thanks for stopping by, Bea, and enjoy your week. Congrats on the new books, I hope they are all fabulous reads for you! Thanks, Kindlemom1….glad you could stop by. Enjoy your week! Oh, I hope you enjoy the RaeAnne Thayne book! Happy reading, and have a great week! Thanks, Lark, I have a feeling that I will. Glad that you could stop by! It was nice to finally have some rain in California. Hopefully it continues so we can get be ahead for next year. Snow Angel Cove sounds really good. I hope you enjoy all your new books!! Thanks, Kathy, and we definitely need the rain! Glad you could stop by, and I am looking forward to all the new books. Glad you got some much needed rain! Definitely will keep my eye out for the Cathy Lamb book. Thanks, Nise, and I am very eager to see what the week will bring. Enjoy your reading. Mmm I thought I heard on the news that some places on your west coast got more rain than was bargained for. I have the Cathy Lamb book sitting on my actual shelf and must read it – probably a 2015 one now! So far, our rain has been pleasant and minimal…I know we need more, but I dread the storms. Thanks for stopping by, Kathryn, and I am looking forward to the Cathy Lamb, too. I think I said this last week but I LOVE the title ‘Unbecoming’. I realise that I’m seeing it as a verb than an adjective though, which I know doesn’t make sense but I love it! I actually saw it as a verb toward the end, as I realized what the title meant…at least, to me. Thanks for stopping by, Deborah, and enjoy your week. Not only does A Fireproof Home have an interesting title but the story sounds good too. I hope you love all your books this week. I totally agree, Laura…can’t wait to read it! Thanks for stopping by, and enjoy your reading. Thanks, Lucy, and enjoy yours, too. Glad you could stop by! Snow Angel Cove looks and sounds brilliant. I could do with another seasonal read, especially so close to Christmas, so might check this one out. I absolutely loved The Paying Guests when I read it earlier this year. It’s such a beautifully written book, and I was really drawn in to the story. Oh, glad to hear that about The Paying Guests, pagesandtea….I am a sucker for beautifully written books with a great story. Thanks for stopping by. The cover for a Fireproof Home For the Bride sounds so interesting and the cover is simple yeet beautiful. I love minimalist covers! Looks like you had an amazingly active blogging week, can’t say the same for myself 😀 Have a lovely week! Thanks for visiting, Laquesha, and it didn’t start out as that kind of week, but I was so happy to find it morphing into one…LOL. Thanks for visiting, Cait, and enjoy your week. Your blog looks lovely! I’m receiving The Paying Guests for Christmas, can’t wait to read it. Thanks, Sam, I have missed featuring this blog, which I didn’t do much of when it was at Blogger (don’t strike me, Blogger gods! ), but I am so much more comfortable here at WP. Looking forward to being able to chat about The Paying Guests. It’s always nice to have some rain. We’ve had our seasonal storms for this time of the year here in Australia and boy has it been appreciated. I almost forgot how nice it was when it rains, love to see everything green up. 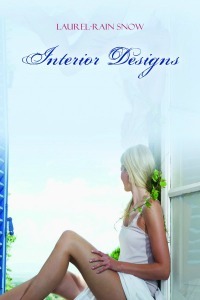 Sharon @ Sharon’s Book Nook! The greening is my favorite part of my world after the rains….and I would love to see more of it. Thanks for stopping by, Sharon, and enjoy your week, too. The Cathy Lamb book sounds interesting. Hope you enjoy it! I’m very curious about A Fireproof Home for the Bride – that title certainly catches my interest! Oh, I know! When I first saw the title, I had to check it out….and then I was hooked. Thanks for visiting, Kathy, and enjoy your week. I completely agree, Serena…thanks for visiting! Just checked out your great review of The Secrets of Midwives. You have such a large and great looking collection of books! Thanks, Pat, and I am glad you could stop by. Enjoy your week! Have fun with your reading this week! Thanks, Eloise, and I hope the same for you! Glad you could stop by. Looks like you got quite few good books to read. I hope to be coming back to find out more or check out your blog more. Two book caught I eye, Snow Angel Cove and the other was Winter Streets. They both look like i would enjoy reading them, I hope you enjoy your books. I am loving Winter Street, and looking forward to Snow Angel Cove. Thanks for stopping by, Lindsay, and have a great week. I’ve had Cancel the Wedding on my TBR for awhile. I’m thinking it may be a summer reading option for later this spring. I thoroughly enjoyed Cancel the Wedding…it wasn’t light chick lit, but dealt with some issues. Thanks for stopping by, Sarah. A nice selection of books, have a great week of reading. Thanks, Mary Ann…glad you could stop by. You always have such interesting books. Hope you enjoy them and the rain. I know Cali needs it so bad. I wish I could send some of ours that way. Have a wonderful week! Thanks, Voracious Reader…I do love good books and rain during rainy season….we do need it! Enjoy your week. Looks like you had a very busy week! I keep seeing that title, A Fireproof Home For the Bride, but then I read the synopsis and decide I’m not interested. Thanks so much for visiting my post earlier! Thanks for stopping by, Lisa, and the blurb on Fireproof does sound grim…but I have hopes for it. Enjoy your week! I’m still pushing through The Paying Guests – I like it but it’s not compelling so I stopped to read another book, and now I’m back to listening. Maybe print would have been better! Yes, it is slower reading than some books, but I’m starting to enjoy it…LOL. Mine is on Sparky, and that’s harder to read, IMO. I still love print books! Thanks for stopping by, Leslie. A Fireproof Home For The Bride keeps catching my eye. I hope it is good. Thanks for stopping by, Elizabeth…glad you were able to sort out the commenting. Enjoy your week!